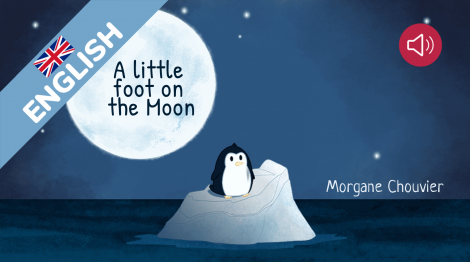 This story for children tells us the story of a little penguin, who is very bored, all alone on his little iceberg. Then, he came up with the idea of going to the moon for fun. But how do we get there? Animated digital story, told by Diana Rapine, 12 pages.